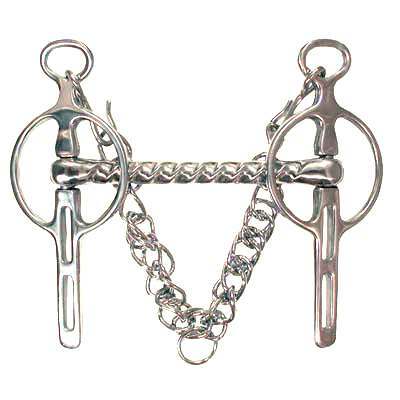 This Driving Bit is made to last for many years to come and rest assured you are buying superior quality Fancy Liverpool Bit here at Horse Tack Now. You can see the sturdy and durable design in the image above. View the polished stainless steel. The Fancy Liverpool Straight Mouth 2 Slot Driving Bit is one of the most popular driving bits. This item comes in either German or Stainless Steel. At HorseTackNow we only offer the best horse bits and horse tack available at discount prices. We have an extensive variety of driving bits on sale now at economical pricing. Rest assured you will be given only superior value products here at our online Horse Tack Store.